While there is plenty of negative or ambivalent media attention surrounding the UK property market at the moment, official figures show that there is much to be positive about. The British Property Federation, which represents developers like Fortitudo Property, as well as property owners and agents has just released the first set of annual figures specifically for the ‘build-to rent’ sector. The figures represent the number of homes in the UK that have been built specifically to be rented out and professionally managed. Figures from the report show that the number of build-to-rent homes that have either been completed, are under construction or in the planning pipeline across the UK has gone up by 30% to 117,893 during the 12 months up to the end of March 2018. This sector has been boosted after the government specifically gave it a more prominent role in the national planning policy. With a strong development pipeline, it’s likely that the build-to-rent sector could double to about 200,000 by 2020. The number of houses completed in this sector was 20,863, which is a 45% increase on 2017. The number under construction has increased even more by 47%. But why is this growth happening? As well as the government’s support for the sector, build-to-rent generally attracts long-term institutional investors as it offers a rental income stream that can pay for things like pension liabilities. And, following the government’s lead, lots of local authorities have also put their weight behind this sector, as the realisation dawns that it offers a realistic way to generate long-term, useful income and will help to meet those all-important housing targets. Housing associations and councils are collaborating with developers more and more on build-to-rent schemes. At the moment, London has more build-to-rent developments than other regions, but these figures show that everywhere else is catching up. Regions outside of London account for 62% of the total of build to rent houses under construction. Again, this is partly thanks to more positive and supportive attitudes from local authorities, which are welcoming more rental-focused developments. Areas outside of the capital that are becoming hotspots for the build-to-rent sector include Liverpool, Manchester and Bristol. London is increasingly being seen as more of a challenge by developers in this sector. This is even though many mortgage owners in London face difficulties due to the lack of affordability and high house prices. This is because developers of homes they intend to sell can construct and sell in different phases, while a build-to-rent developer must finish the whole site before renting out and seeing returns. 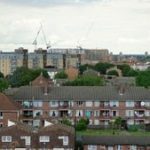 London’s mayor has backed the policy changes and said that developments that come with a minimum of 35% affordable housing will be fast tracked through the planning process. However, the build-to-rent industry argues that implementing a 35% threshold for developers who are building to sell, and those building to rent, is unfair as it “cannot compete with build-for-sale on land acquisition and pricing”. But, the affordable housing targets in London will stay. One of the major criticisms often thrown at the build-to-rent sector is that it doesn’t properly address the urgent need for family-sized accommodation, as it concentrates on smaller homes for professionals. However, the research shows that this is starting to change, with 17% of the build-to-rent schemes currently under construction or being planned include decent-sized houses, as well as apartments. The future is here, at least in terms of houses that do everything for you. Just like we were promised decades ago, houses in 2018 can use technology to take the hassle out of every day life for their owners. Although most people are aware of smart technology used to control appliances from a smartphone app, or speaking assistants like Alexa and Siri, every day smart homes can seem a far away prospect. While we can assume that millionaires may use technology in ever-increasingly sophisticated ways in their homes, what about the more ordinary houses? This is where Sommar Place comes in. The housing development in Milton Keynes looks very ordinary, and that’s the point. The houses are normal, every-day houses, but utilise smart technology as standard. So, this isn’t a dream home for the future, it’s a home for now. They’re not for the superrich, but affordable homes for expanding families. Using this kind of interconnected technology will very soon be expected as standard for new developments. 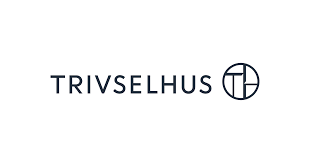 The 39 houses were developed by Swedish builder Trivselhus, using Scandinavian energy efficient design along with the most up tod ate smart home tech by Apple. The system is fully interconnected throughout each property and is both easy to use and fully customisable. People who live in these houses can programme their home to do everything they want. For example, it’s possible to instruct the house to put the kettle on in the morning, programme the lights to come on at a specific time, or warm the towel rails in the bathroom as you’re waking up. Residents can also automate the house when they’re out, based on when they’re due to come back. For example, setting a customised programme named ‘coming home’ would make sure the lights come on, the heating is at the correct temperature and music is playing as they arrive home. An Apple watch and an iPad come with the house, and residents can instruct their house using Siri, as well as Apple TV and HomePod. These days, many people are worried about the impact of interconnected technology on their privacy. This system uses end-to-end encrypted security to ensure that whatever residents do remains behind their closed door. Previously only available in multi-million-pound bespoke homes for the very wealthy, this is the first time integrated smart tech has been used in affordable homes from the outset. While it’s possible to retrofit any home, this development is paving the way for technology to become standard in new developments. Any home of the future built in 2018 also has to consider the environment. Technology is not enough to make it cutting-edge, and these houses are built to sustain extreme climate change due to something called Climate Shield. This is a mineral wool insulation system that, along with air tightness incorporated into the closed panel timber frame walls, ensures a level of protection that will last into the future. Added to this impressive manufacturing, the houses can be assembled in just one day. Manual control is also possible, as technology can always go wrong. Day to day, the technology will seamlessly, efficiently and unobtrusively make life easier. This kind of development will one day be standard, and it’s exciting to see it take shape in real terms for people looking for an affordable and future-proof property. The majority of property planners believe that a more stable planning system would provide greater certainty for developers and communities and help get the country building again. According to recent research from the Royal Town Planning Institute (RTPI) an overwhelming majority of planners blame decades of planning changes for their ability to work effectively and deliver new homes. The Delivering the Value of Planning report showed that a massive 73% of planners believe “constant changes” to planning rules have “hindered their ability to deliver good places”. Richard Carr, a property developer in the south of England, understands the problems and believes the government needs to loosen its grip on the system and make it easier for planners to deliver new developments. Over half of respondents said that government policy changes had provided obstacles to the delivery of new homes, whilst almost 75% said that the profession had a reduced capacity to deliver.